Folkart Slovakia folk woodwind instruments are selected and designed to achieve superior sound quality for the lowest price possible. We thrive hard to maintain the best quality-to-price ratio by careful wood selection and curing process, effective use of modern technologies as well as precise hand work employing the best of the Fujara and shepherd pipe making know-how accumulated in Slovakia over centuries. Custom-made, elegant, wooden case can be ordered for any collapsible Fujara flute or Fujaridoo for EUR 95. 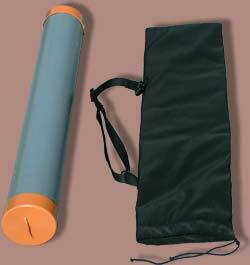 Fujaridoo is a smart combination of collapsible Fujara flute and collapsible Didgeridoo. The Fujaridoo keystone lies in Folkart Slovakia Fujara Flute (natural or lathe-turned) which can be rebuilt into Didgeridoo by two additional extensions - didgeridoo bell and mouthpiece. Sound quality of the Fujara flute included in Fujaridoo remains the same as for regular Folkart Slovakia Fujara flutes ! All Folkart Slovakia Shepherd Pipes are hand-made from well cured upland elder tree. Overtone flute ("Koncovka", read [kontsovka]) - fipple flute without any holes in the pipe. It is longer than normal whistle, from 50 cm (key of E) up to 90 cm (key of G). It is played by covering and uncovering of the bottom hole. 6-hole whistle - six hole fipple flute similar in construction to Irish whistle. In Slovakia called shepherd's whistle. Double whistle - combination of two shepherd pipes in the same tuning. One pipe is classical shepherd whistle with six holes on which the main melody is played. 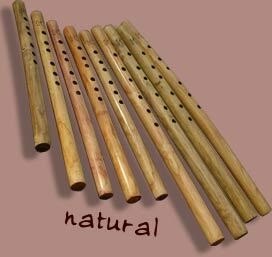 The other pipe does not have holes at all and it enriches the main melody by its 2 overtone base tones - it can be played like koncovka too.